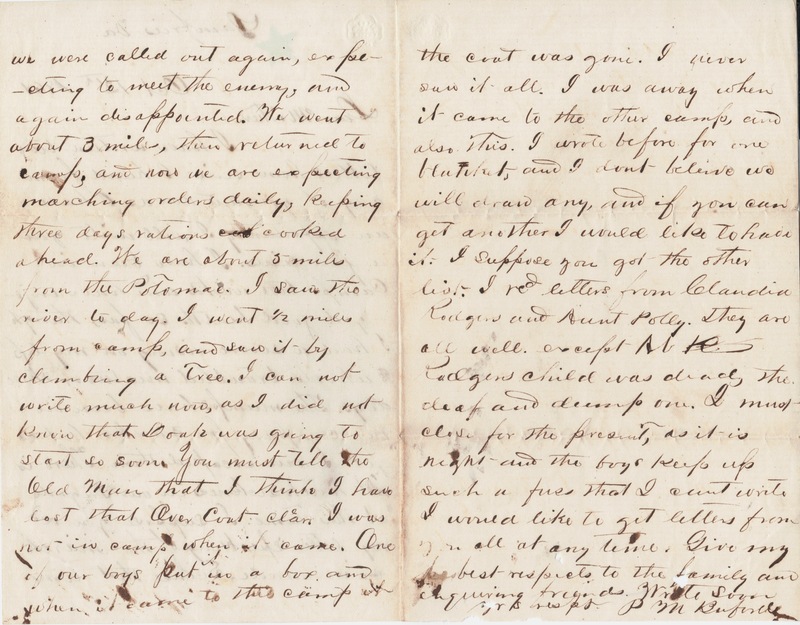 Uncle Newton is with Walter at Warrenton or Richmond, and most all the boys rcd letters by him except me, I was sure you would send a letter- I rcd one from Aunt Polly last week, they were all well, but did not have much to eat, as well as myself. Rees A. Houston present at Sharpsburg, where he was severely wounded. 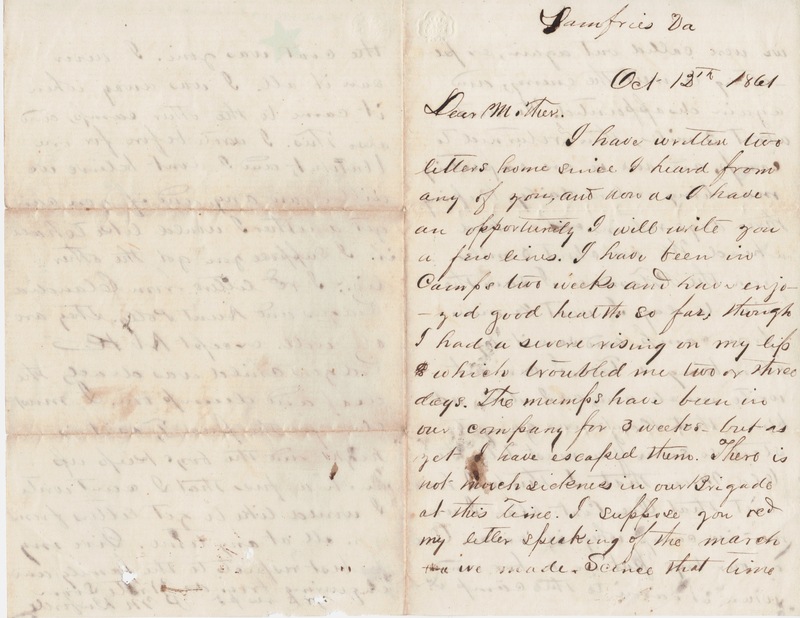 Although this letter does not specifically mention Rees by name, we know it is him that Parham writes of because he is the son of Old Man Houston. Rufus A. Shaw, Parham’s cousin, present at Boonsborough, Sharpsburg, where he was severely wounded and brought back to Shepherdstown, Va. He was retired July, 1864 by reason of wound through left lung. Parham described the wound in a previous letter as being a ball which entered the left shoulder and came lodged just under the skin and under the shoulder blade. Although eventually retiring almost two years later, Rufus is not cited as having served in any battles following Sharspburg. 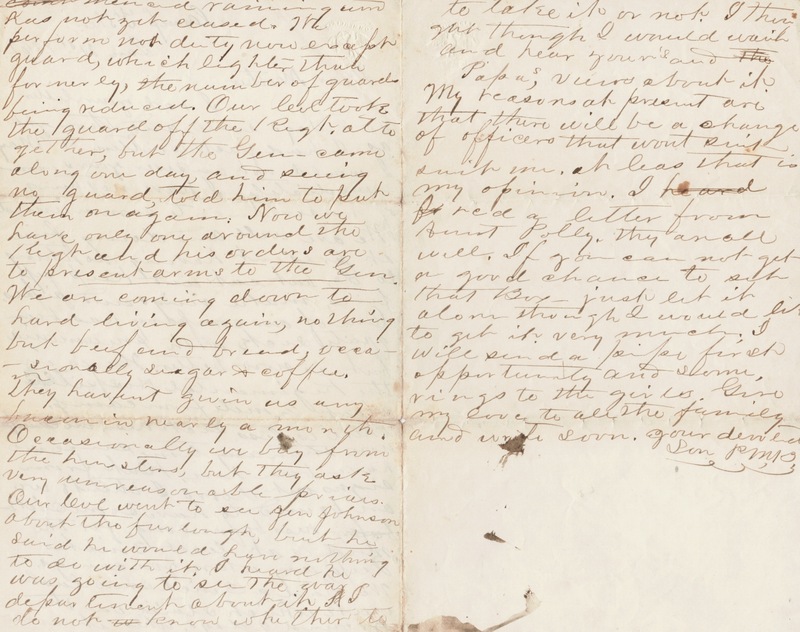 Thomas Newton Buford, referred to as Uncle Newton by Parham, is mentioned in this letter as visiting with his son, Walter, in either Richmond or Warrenton. 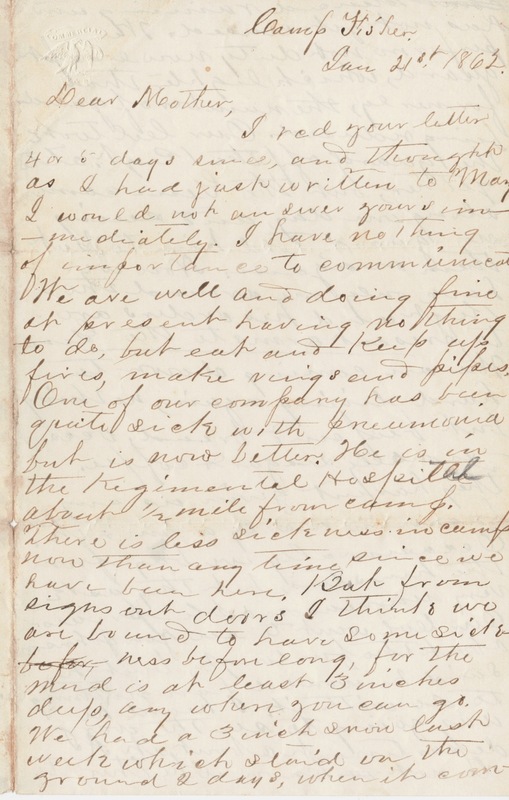 What Parham does not yet know when writing this letter on October 8th is that Walter passed away 23 days earlier on September 15th. Parham will soon learn of this tragic turn of events and write of it in his next letter. It is assumed that both Old Man Houston and Uncle Newton have traveled from Mississippi to Virginia to visit their wounded sons. Mary Polly Buford, referred to as Aunt Polly by Parham, is indicated to have written a letter about her side of the family not having much food to eat. Aunt Polly and Parham’s biological father, though not siblings, share a grandfather who was an American Revolutionary War veteran. Parham mentioned there is a shortage of food provisions and that he and his comrades are not permitted to forage for food. Why was this? Could it be that the army could not afford to have its dwindling numbers picketed off? In one year’s time, their numbers dropped from about 800 to 15o as a result of six engagements with the Yankees. Parham referred to the last battle at Sharpsburg, known as Antietam by the Federals, indicating that he never wants to be in such a battle again and that he will refrain from mentioning the horrors he has grown accustomed to witnessing. 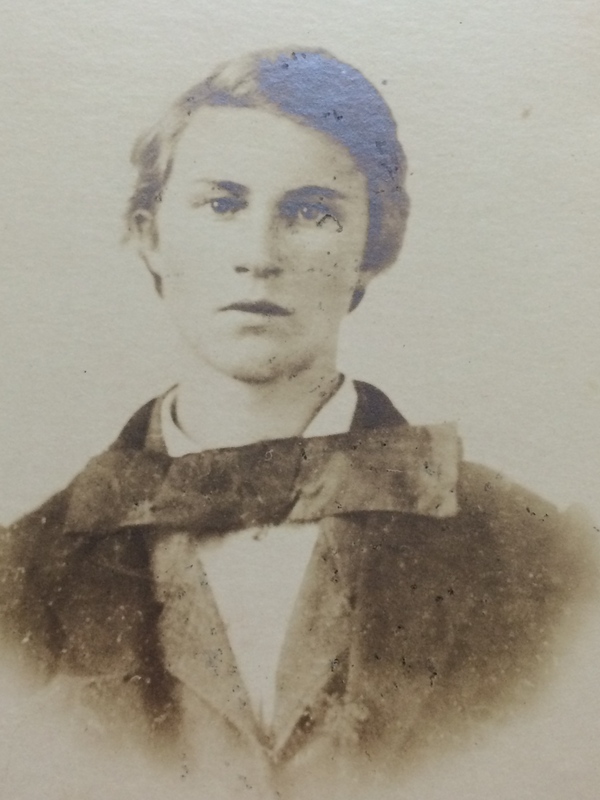 Photo, courtesy of family (N.H.), is of young Parham Morgan Buford during pre-war years. I rcd your letter 4 or 5 days since, and thought as I had just written to Mary I would not answer yours immediately. I have nothing of importance to communicate. We are well and doing fine at present having nothing to do, but eat and Keep up fires, making rings and pipes. One of our company has been quite sick with pneumonia but is now better. He is in the Regimental Hospital about 1/2 mile from camp. There is less sickness in camp now than any time since we have been here. But from signs out doors I think we are bound to have some sick before– ness before long, for the mud is at least 3 inches deep, any where you can go. We had a 3 inch snow last week which staid on the ground 2 days, when it com-commenced raining and has not yet ceased. We perform not duty now except guard, which lighter than formerly, the number of guards being reduced. Our Col took the guard off the Regt. altogether, but the Gen – came along one day and seeing no guard, told him to put them on again. Now we have only one around the Regt and his orders are to present arms to the Gen.
We are coming down to hard living again, nothing but beef and bread, occasionally sugar + coffee. They havent givin us any bacon in nearly a month. Occasionally we buy from the huxsters, but they ask very unreasonable prices. Our Col went to see Gen Johnson about the furlough, but he said he would have nothing to do with it. I heard he was going to see the war department about it. A I do not w know whether to to take it or not. I thought though I would wait and hear your’s and the Papa’s views about it. My reasons at present are that there will be a change of officers that won’t suit suit me. at least that is my opinion. I heard fr rcd a letter from Aunt Polly. they are all well. If you can not get a good chance to send that Box- just let it alone though I would like to get it very much. I will send a pipe first opportunity and some, rings to the girls. Give my love to all the family and write sooon. Your devoted son P.M.B. The Colonel (i.e. Col) Parham wrote about is likely Colonel William Hudson Moore. Parham may have misspelled the name of Gen Johnson by leaving out a “t”. It may be General Joseph E. Johnston he wrote about.